PeerFly is one of the 2012 Empact 100 Top Companies! 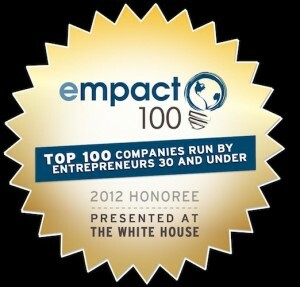 PeerFly is extremely proud to have made the 2012 Empact100 List! Each year, Empact sorts through thousands of companies and selects the top 100 Companies with founders 30 years old or younger. There are certain criteria that have to be met by each company to be eligiable; overall revenue and growth from the previous year are factors. They also look at the difference that company has made to the business community and the economy. It is a tremendous honor to be selected. Our CEO & Founder Chad French will attend the Empact100 event at the White House in Washington DC later this month, along with the other companies that were selected. 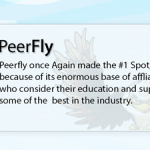 We believe this recognition will benefit our valued clients and publishers as PeerFly Inc. continues to grow; positively representing our network and the affiliate marketing industry as a whole. 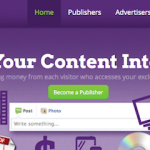 Check out the site at http://www.empact100.com/100 – congratulations to all the great companies listed! Congratulations to Peerfly and whole team…. Congratulations, well done. I am sure it has been hard hard struggle occassionally, so you guys need to really enjoy it now. Congratulations,best wish for peerfly!!! peerfly rock!!!! Well done guys. I’ve had a wild ride this last couple of months. But back again and glad to see you guys getting recognition as a top company. You deserve it! Dear Luke Congratulation for that, but I has been calling you in 4 times regarding my payment and sent to you some email but never ever somebody answer me . I need to known why ? I stopped all my peerfly campaigns to known what is this behavior . I haven’t been approved to become a affiliate member, however if I am, It looks like I am on the right team to become a valued team player, congrats to you all.